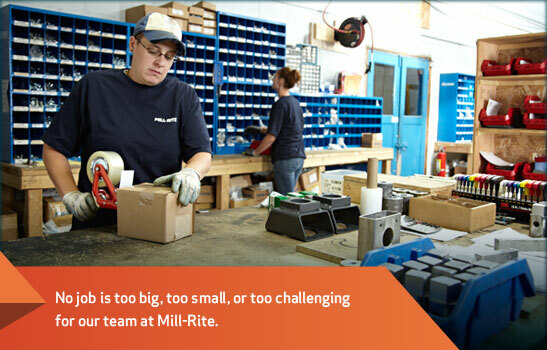 Mill-Rite has earned its reputation as the trusted resource through our commitment to satisfy customers in every way we do business together. You can rely on our Expedited Service to meet your urgent timing needs. Mill-Rite will replace our product if you are not 100% satisfied with what you receive from us. If you’re not satisfied, we make it right.